This page is where we report on our major research topics. If the item you are looking for isn't listed below, try our page of Shorter Pieces. You might also like to look at our slideshows. 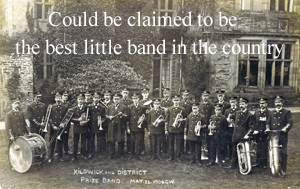 Read how our very own Kildwick and Farnhill Brass Band took on some of the best bands in the country - and won ! This update includes information about the sad decline of the band in the 1920s and, on a more positive note, recollections from a man who was part of the band when it won the 1905 Crystal Palace contest. This article, from the Farnhill WW1 Volunteers website, examines the thoughts of some local people on Armistice Day - 11th November 1918. In 1764 the Archbishop of York went on a "tour" of his diocese - known as a Visitation. Prior to this, a questionnaire was sent out for the clergy of each parish to complete and return. In Kildwick, the questions were answered by the vicar, Rev. John Dehane. His responses give us an interesting snapshot of the parish in 1764. In this article we give the full text of the 12 questions asked, and Rev. Dehane's responses to them. 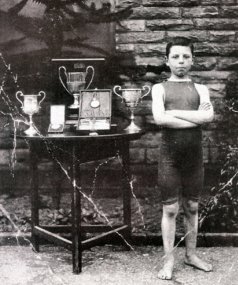 Between 1909 and 1914, the last Saturday in July would see up to 5000 people gather on both banks of the river Aire, below the bridge, to watch the annual swimming carnival. We've updated our original article with some more material. In addition to the article, we also have a short slideshow, made up of the photographs of the carnivals that have been contributed to our archive. At the start of WW1, as German troops overran their country, over 250,000 Belgians came to Britain as refugees. It was the single largest influx of refugees in this country's history. Some of them came to this area and this article, updated with photographs and information about the refugees in Crosshills, tells their story. In the later years of the 19th century and the early part of the 20th, most employment was provided by the very many local mills. The loss of two mills in Farnhill at the end of 1905 and early in 1906 had a devastating effect on local people: they no longer had work on their doorstep they had to bicycle or walk to work; some chose to move to other townships. 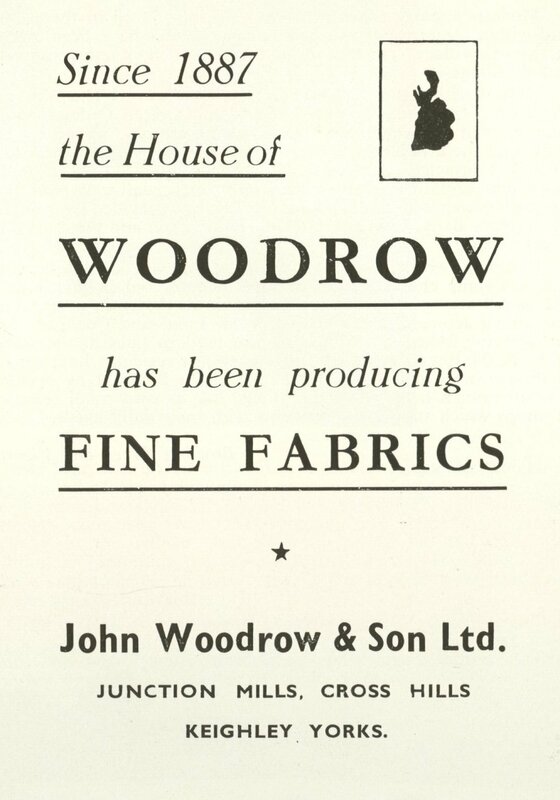 One of the nearby mills that continued to provide work was Woodrow's at Junction. Charles Alexander Hargreaves, known as Alec, left school at the age of 13, in 1906, and - apart from serving abroad during WW1 - was at Woodrow's Mill for all his working life, a total of 49 years. Towards the end of this time he wrote a memoir of his period there: A working life at Woodrow's Mill. Two destructive mill fires in Farnhill, one in December 1905 and the other in March 1906, effectively ended industrial development within the village, as well as causing significant unemployment and hardship. 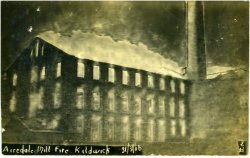 We've updated our slideshow of photographs of the mill fires - including the only known image of Farnhill Mill before it burned down - and some of a third mill in Farnhill which, although it closed in 1906, is still in use today. View a slideshow of photographs taken at the time. You can also read our article about the devastating fires of 1905 and 1906. 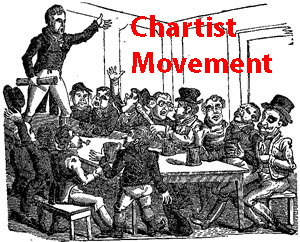 Chartism was a Victorian era working class movement for political reform in Britain between 1838 and 1848. Read about the Chartist Movement in Farnhill and Kildwick. 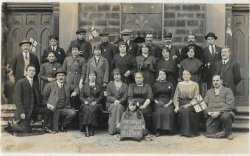 We've updated our article on the impact of the Chartist Movement in Farnhill and Kildwick with information recently discovered about two men from the village who fought in WW1 and who were members of former Chartist families. Charles Wilcock, a good friend of the History Group, has been researching his forebears and his written us an article about one of them. 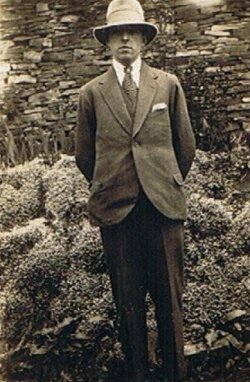 His name was Jonas Davy and he went on to be a detective with the Bradford Police Force. 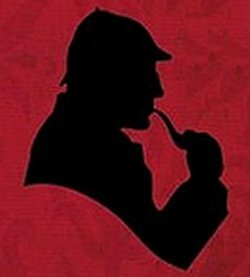 Originally written as a piece for the Bradford Police Museum, here is the story of Jonas Davy - the Farnhill Detective. 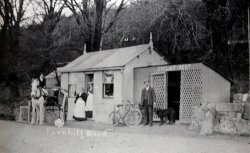 Farnhill Wood Cafe and Cyclists Rest - a mystery resolved ? 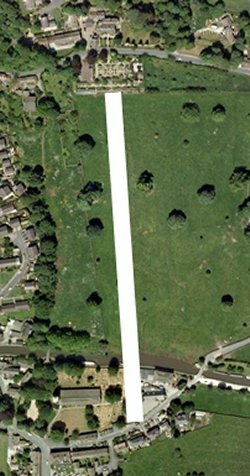 In August 2013 we posted a short piece in our "Mysteries" section asking if anyone knew where the building known as Farnhill Wood Cafe and Cyclists Rest used to be located. It has taken us a long time and has involved assessing information from numerous sources, but we think we've finally got the mystery resolved - well, hopefully. Read the results of our research. From the Romans to the present day, the road from Keighley to Skipton has changed considerably. The route you would have taken depends on when you were travelling. This update provides information about the 1993 Department of Transport plan for a Kildwick-Skipton dual-carriageway. 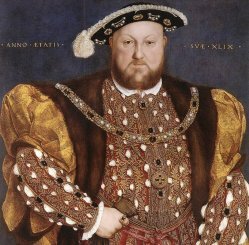 From the dissolution of the monasteries in the 1530s to the restoration of the monarchy in 1660 religious life in England was in an almost permanent state of upheaval. 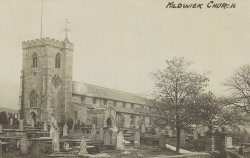 Inevitably Kildwick parish became involved in this and, between the 1580s and 1660, the church was home to a succession of radical Protestant churchmen. We have updated this article to show how, in the years following the restoration, the establishment took back control to such an extent that, in 1743, the new curate of St. Andrew's felt he had to explain and almost apologise for the redical beliefs of other members of his family. 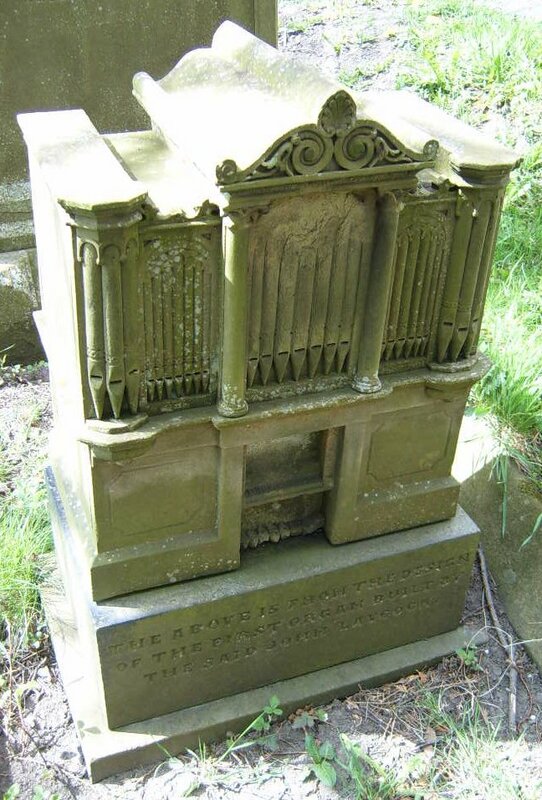 There are a number of interesting graves in the graveyard of St. Andrew's Church but perhaps the most impressive, although by no means the largest, is the so-called "Organ Grave". Why does the grave have an organ on it ? Does the organ still exist and, if so, where is it ? 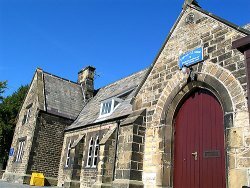 You can also read a short memoir, written in 1889, about John Laycock the organ-builder and view a video of the 1851 Laycock organ in Cowling Hill Chapel. In our most recent update to this article we have included a transcript of the obituary to John Laycock published in the Craven Herald on 21/9/1889. Many people will be aware of the fatal rail crash that occurred at Kildwick in 1875. 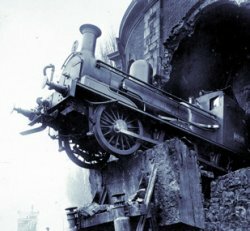 The History Group has made a major study of this terrible accident, and we report our findings in a series of articles. Part 4 - Why was the crash so bad ? 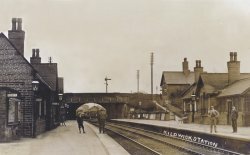 You might also like to view a slideshow of old photographs of Kildwick railway station. We've updated our article on the introduction of gas lamps in Kildwick with further information about the origins of the Lighting Committee. If you were in Kildwick on the afternoon of Saturday 3rd June you may have heard the bells of St. Andrew's church ringing a Quarter Peal of Plain Bob Triples. This wasn't for a posh wedding but was to commemorate the death of William Mosley, of Farnhill, a former bell-ringer who was killed in action on 3/6/1917. 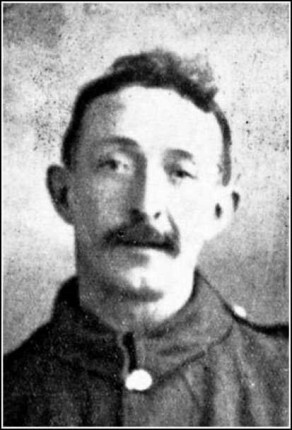 We've put together a short biography of William Mosley as part of the Farnhill WW1 Volunteers Project. We've discovered another anecdote about the years, just after WW2, when Roberts' Brothers circus used to over-winter near Kildwick. 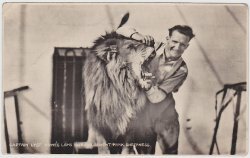 We also have information about other circuses in the area, dating from as early as 1908. In 1738, Haworth Currer had the idea of creating a grand driveway to link Kildwick Hall with the centre of the village. Originally one of our "Short Pieces" you can now read a full article on Haworth Currer's driveway and what became of it. Using the family history notes of the late Christopher Rycroft and information provided by Lancaster Herald at the College of Arms, we have researched the remarkable story of John Rycroft, who went from Kildwick to serve in the court of Henry VII and Henry VIII, and the charity he founded in his native village: the Kildwick "Winter Silver". Read the results of our major research project. You can also examine Christopher Rycroft's family history notes - courtesy of Mrs. Nancy Rycroft. 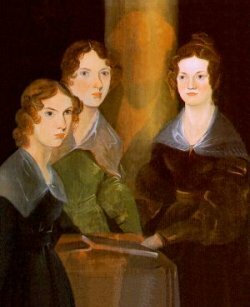 There are so many stories about connections, or supposed connections, between the Brontë family and Kildwick. In this article, Graham Taylor examines some of these and tries to work out which are true and which might be false. To accompany this update, Bronte expert and good friend of the History Group, Isobel Stirk, has written a short piece of fiction imagining how it might have been if Charlotte really had visited the village when she was governesss at Stone Gappe. Read Kildwick's 1839 visitor - maybe ?. 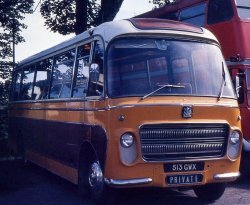 The story of Arnold Benson coaches, a company that operated from Kildwick between the end of WW2 and the 1970s. We also have Alan Hargreaves talking about his friend Edwin Shuttleworth and the Arnold Benson Coach Company - including how they got a large bus through a small gate ! These days, thanks to the widespread use of antibiotics and early-years inoculations, most childhood diseases are kept largely under control. They are irritants (albeit sometimes painful for individuals) rather than dangerous, or even life-threatening. 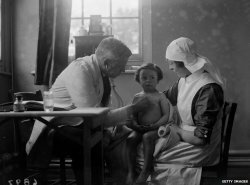 However, in the early 20th century, this was not the case and the appearance of an infectious disease in a single child could quickly result in it spreading through the whole community. Sometimes with dangerous or even fatal consequences. The Kildwick School log book for the period 1907 to 1920 shows how common these diseases were and the steps that the school and the local authority could take to prevent them spreading. The log also reveals the start of what would become universal health care: with the gradual appearance of school medical inspectors and dentists, and a nurse examining children for head-lice. 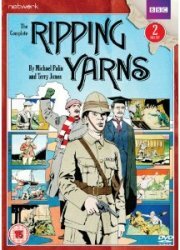 Read about childhood diseases in the early 20th century. 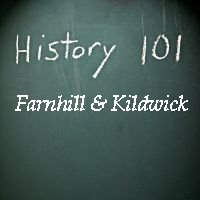 Read our full series of articles on how Farnhill and Kildwick organised and celebrated Coronation and Jubilee events in the twentieth century. From the days of chauffeur-driven cars, Farnhill has an interesting story to tell of a car (that still exists today) and the man who drove and maintained the vehicle. 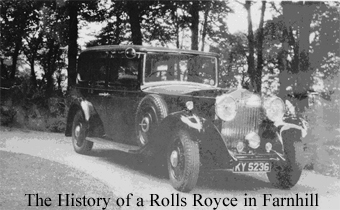 Read about the Farnhill Hall Rolls Royce. For three years prior to WW1, Kildwick school had a series of exchange visits with a church school in Stepney, East London. Read about how the schools were twinned and the story of a life-long friendship that developed. 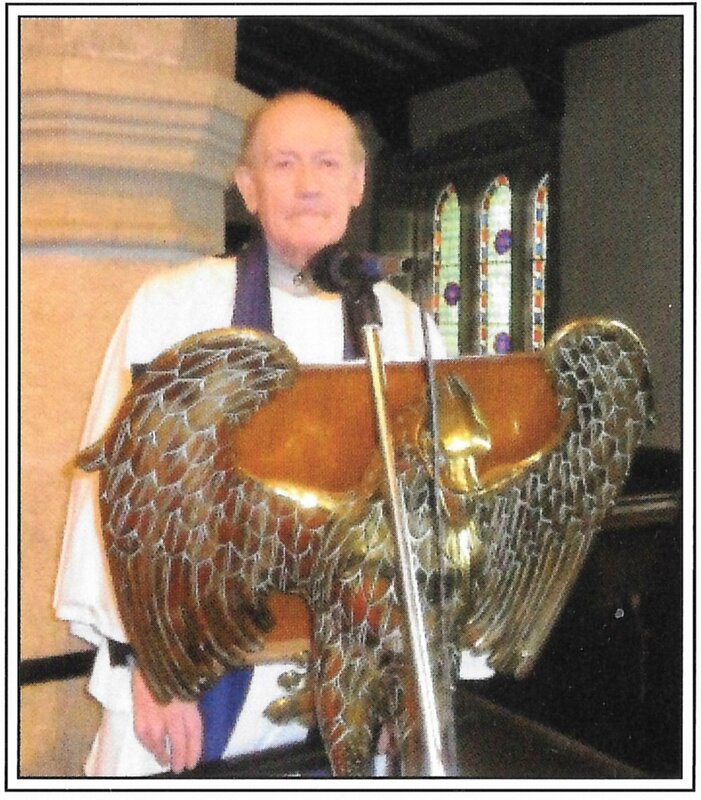 Michael Baumber, local historian and good friend to the Farnhill and Kildwick Local History Group, died in August 2015. With the permission of his next of kin we are pleased to be able publish, in tribute to Michael's research carried out over many years, his completed but unpublished "History of Kildwick Parish" (AD950 to 1660). 100 years of local history, as recorded by entries in the log book kept by the head teachers of Kildwick School. Boyhood memories of the Crosshills and Kildwick railway station in the 1950s, written by our good friend Dr. John Laycock. You might also like to read an anecdote of the station in the 1940s, by "Brenda". 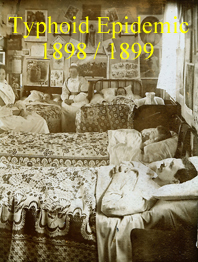 The Local History Group is involved in a major project researching the Kildwick typhoid epidemic, which took 10 lives and put a further 40 villagers in hospital. There's always more to discover about this terrible event in Kildwick's history and in our latest updates we have added a photograph of one of probable sources of infection and information from the Kildwick school log book. Click here to view our full series of articles on this subject. Written in 1970, when he was in his mid-60s, Norman Green's memoir is a fascinating account of what Farnhill was like in the early part of the 20th century - looked at through the eyes of a young boy growing up in the village. 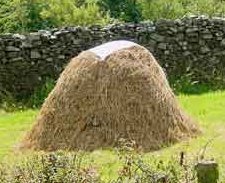 A personal recollection of haymaking at Crag Top Farm in the 1940s and '50s, including a 13-year-old boy's memories of a home-made "tractor". 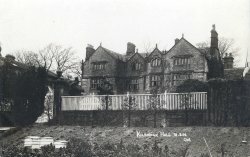 Originally posted in June 2013, Haymaking at Hellifield House is a recollection by the late Gladys Crossley, written in 1997, that take us back to the 1930s when she was a young girl growing up at Hellifield House in High Farnhill. We first encountered the post-war Welcome Home Committee when we wrote our article about Farnhill's connection with the Great Escape. Since then we've done further research into some of the activities organised to welcome back the men and women who went away to war, culminating in a performance of Hadyn's Creation and the Kildwick Races. Along the way they managed to raise 1000 pounds. 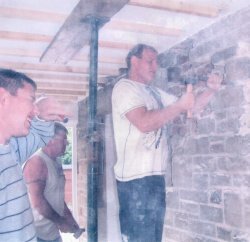 In 2006, when it was undergoing substantial remodelling, workmen uncovered a jam-jar embedded in one of the walls of Moorend - the house at the top of Starkey Lane. The jar was a "time-capsule", containing a number of items dating back to when the house was built in 1934. Read what the time-capsule contained and what we've been able to find out about the person who deposited it. You never know where you'll find new information for one of our articles. An article in "The Guardian" newspaper has led me to revise this piece as it turns out that there wasn't just one HMS Kildwick, but two ! 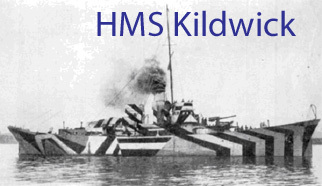 Read an update to our HMS Kildwick article. We're also taking the opportunity to bring back the wonderful two part wartime memoir written for us by Cyril Dennis who, as a teenager, served on board HMS Kildwick during WW2. If there are any other members of HMS Kildwick's WW2 crew out there, Cyril would like to hear from you. Please email history@farnhill.co.uk and we will pass on your message. The Institute was founded in 1911 and was the gift of the Brigg family, but was its creation politically motivated; a scheme thought up by a Liberal family designed to upstage the plans for a Conservative Club? Read what we've been able to find out from newspaper reports of the period here. 2014 is the centenary of the start of WWI. 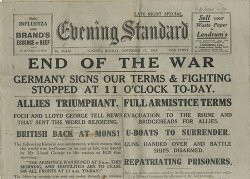 It is also the 75th anniversary of the start of WWII. A major piece of research has enabled us to produce biographical pieces for each of the nine men of Farnhill and Kidwick who died whilst serving during WWII. While the young men and women of the villages went off to do their bit in WWII, two groups of people came to Farnhill and Kildwick. 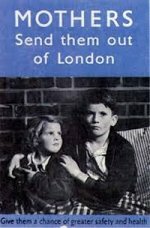 Read about the WWII evacuees and POWs. 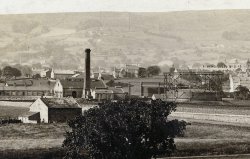 Kildwick Gas Works, which stood on the site occupied by the petrol station - behind St. Andrew's Terrace Crosshills, closed in 1955 and was demolished in the mid-1960s. Dennis Laycock's father, Fred, was manager of the works when it closed and, since his own retirement, Dennis has written a notebook providing a short history of the works and details of its operation. We are very pleased that Dennis has allowed us to publish his handwritten notebook. You can also view a short slideshow of pictures from Dennis's notebook and others of the gas works from our archive. 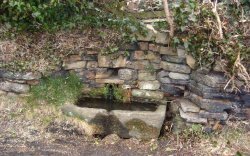 With a lot of help from an academic at Oxford University, the Local History Group has investigated how the water trough in High Farnhill got its name. Various theories are offered: one of them suggesting that Farnhill was first settled by Vikings, who stayed to farm the land adjacent to the well. Read what we have discovered about the origin of this rather odd name. At the history group meeting in February 2013 it was our pleasure to have as our guest Miss Kathleen Auty. Miss Auty's father was headmaster of Kildwick School between 1926 and 1945, and she lived in the village between 1926 and 1938, before going to Cambridge University to study mathematics. After university she began a long career as a maths teacher, including 20 years as head of department at Skipton Girls High School. She retired in 1978. Miss Auty talked to us about her father, and his time at Kildwick School; what is was like living in the village and attending school before WWII; going to Cambridge, at a time before women were allowed to be full members of the university; and her career in teaching. You can listen to edited extracts from this fascinating and wide-ranging conversation. 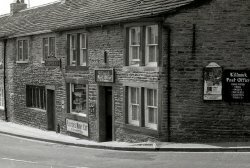 In 1979, Michael Palin used Kildwick Hall and what was a butcher's shop in Bradley for scenes in his classic Ripping Yarns film 'Golden Gordon'. Our original article has been updated with recollections from someone who worked at Kildwick Hall during the filming and met the cast. 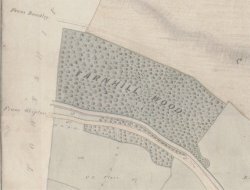 How old is Farnhill Wood ? The oldest trees in Farnhill Wood are about 250 years old, but the wood itself may be considerably older. This article looks at the evidence from flora, maps, and the walls that surround the wood. 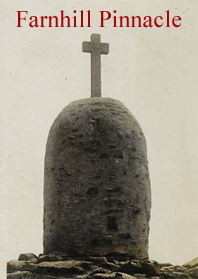 Read how the well known Farnhill monument was built as part of the village's celebrations of Queen Victoria's Golden Jubilee in 1887. 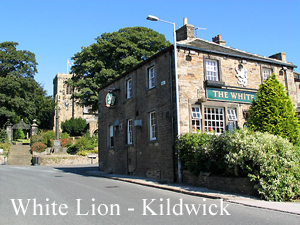 Photographs spanning more than a century show the changing face of Kildwick's pub, the White Lion. This article recounts the story of the Zillessen family, who lived in Farnhill during World War II and which produced not just a key character in the story of the Great Escape but an entire family of war heroes.